German engineering. That has to be good, right? Jack Wolfskin, founded in Frankfurt in 1981 and still headquartered in Germany, aims for customers “who enjoy multiple outdoor activities,” while also intending, through technology, to “master all weathers.” Can’t say whether (ha ha) the company has succeeded in that, but we can dub the Aurora Sky 3N1 a warm and versatile jacket. The tagline 3N1 denotes three qualities: waterproof (to 10,000 M), windproof, breathable. Upon first impression, the fabric has a very nice feel, or “hand”: smooth and almost cottony, absent that crinkly rain-jacket feel. It looks matte-like, as opposed to shiny. We tested a women’s model, size medium. 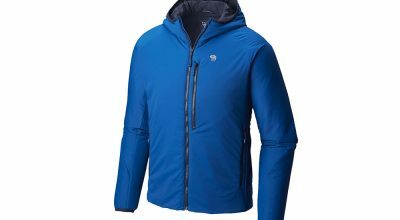 The jacket is hefty, feeling like a big armload, hence less a travel item than some, but you get that with a zip-in liner, which enables wear as a rain / ski / hiking / breathable approach jacket. 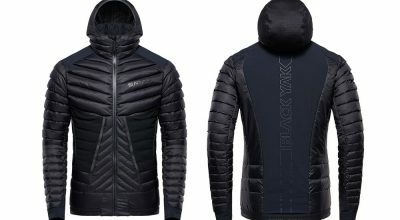 Or: separate and wear only the light, synthetic fill (quick dry) jacket. Or only the rain jacket. Within are surprisingly stretchy fleece panels, a nice touch. 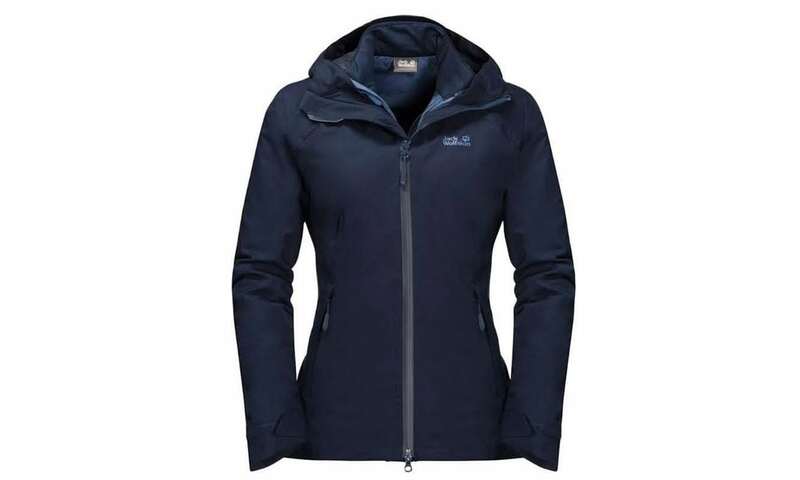 The jacket has a nipped-in waist, a flattering contrast to the square look of most “ski jackets” we grew up in. Jack Wolfskin is a well-known international brand, which two years ago began a movement into the U.S. market. While this reviewer previously knew the brand only from the big banners at World Cup ski races in Europe, the company makes everything from street styles to backpacks and tents, shoes and hiking wear. The jacket tested here is midnight blue—not preppy navy, but inky. Other colors are a dark turquoise called Celestial blue, amythyst (violet) and your basic black. This tester/ writer, usually a medium but verging into large, found a medium to be a little small in the forearms and at the front of the underarms, with a binding effect during forward reach. So when in doubt, go big.